Carl G. Johnson, Jr., 92, of 15 Griswoldville St., died Sunday, March 10, 2019 at the Charlene Manor Extended Care Facility in Greenfield. He was born in Greenfield on July 7, 1926, the son of Carl, Sr. and Anne (Bates) Johnson. His youth was spent in Shelburne Falls attending the former Baker School and Arms Academy. He moved to Colrain in 1948. A World War II US Navy veteran, he entered the service in July of 1943 and was honorably discharged in May of 1946. The campaign medals he received were the American Theater, the European, African, Middle East and Asiatic Pacific Theaters. He also received the World War II Victory Medal. Prior to his retirement in 1983 he was employed for 36 years at the Kendall Mills in Griswoldville. While living in Colrain he served as Post Commander of the American Legion Post and Quartermaster of the VFW Post 3857. Carl was a communicant of St. John the Baptist Church in Colrain. He enjoyed dancing, camping, and trips to Maine. 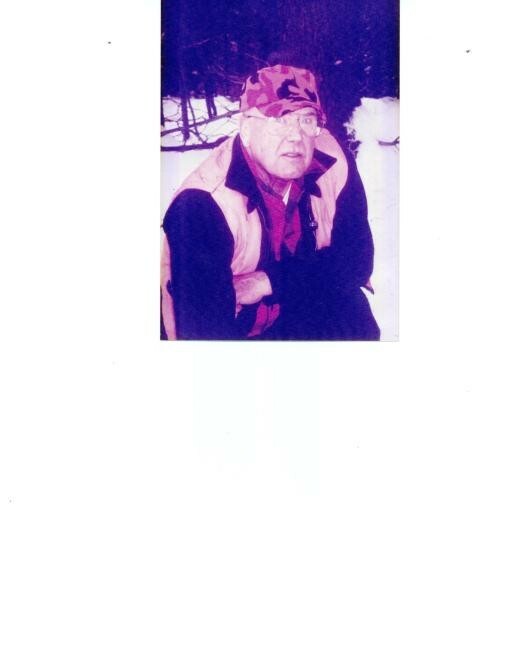 He loved being in the outdoors - fishing and hunting in streams and mountains, seeing the beauty of sunrise and sunsets and looking back into the valley below was always beautiful. Survivors beside his wife, the former Lucille Tetreault whom he married on August 28, 1948, include a daughter Carlene (George) Lemay of Stark, ME, a son Sidney Johnson of Greenfield, daughter-in-law Jane Johnson of Colrain, 4 grandchildren and 8 great grandchildren. He was predeceased by his son Perry Johnson who died on January 18, 2015. A Liturgy of Christian Burial will be celebrated Saturday, March 16 at 11:00 am at St. Joseph's Church, 34 Monroe Ave., Shelburne Falls. Burial will follow in West Branch Cemetery in Colrain. Calling hours will be Friday evening from 6 to 8 pm at the Smith-Kelleher Funeral Home, 40 Church St., Shelburne Falls.